42 Facts About Teeth: 10 are particularly weird! In the sections below we have included some facts about teeth that we’ve come across when writing various articles. If you’re also writing about teeth, feel free to use the facts below but please give attribution to this page. You may also find our page on dental statistics useful. 1. Teeth are the hardest substance of your entire body. Enamel is a rock-hard mineral! Once damage is sustained, enamel cannot regrow or heal itself. Strengthen your enamel with toothpastes and mouthwashes, and eat plenty of foods containing calcium. 2. Teeth aren’t bones , despite the fact that they are both hard, white, and contain calcium. 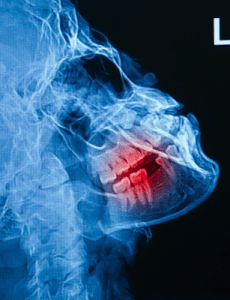 Unlike bones, teeth can’t heal themselves or grow back if they suffer damage. 3. Enamel protects the dentine beneath it, which is made from living cells and calcified tissue. 4. 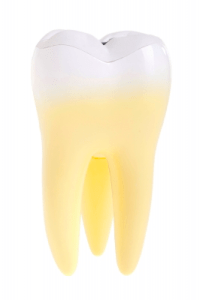 Teeth look yellow when the white enamel is worn down , causing it to become translucent. The weaker the enamel, the more the yellow of the dentine beneath colours the tooth. Another way your teeth lose their whiteness is through regular contact with substances that cause surface stains, such as coffee and tobacco. Whitening pastes have a higher abrasive quality which gently wears away surface stains. 5. Only two thirds of your teeth are visible . The rest is hidden inside your gum. Gums need just as much attention as teeth in your oral health care regime. 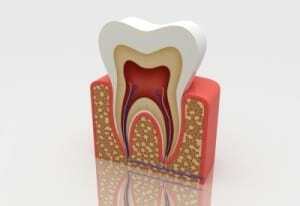 Plaque left on teeth causes tooth decay. Don’t forgot to brush, floss and use mouthwash two to three times a day. 6. Flossing is important because it allows you to remove plaque from below the gum line, where a toothbrush can’t reach. Looking after your gums is important in preventing periodontal disease, which creates pockets around your teeth. This is just one way you can loose teeth by not brushing and flossing regularly. 7. Children’s teeth must be brushed as soon as the first tooth shows ! Parents can gently clean the tooth with a muslin cloth wrapped around the finger or with a very soft-bristled brush. Read more advice here . How your teeth are arranged in your mouth is as unique as your fingerprint — nobody else has a smile like yours! Women smile more than men , and children are 26 times more likely to laugh than an adult. China has an annual ‘ Love your Teeth’ day on 20 September. Teeth start to form in the womb . Humans spend 38.5 days of their lives brushing their teeth. The average human produces 25,000 quarts of saliva in their lifetime — enough to fill two swimming pools. Mosquitos have twice as many teeth as humans . The average adult human has 32 teeth. There is enough fluoride in a tube of toothpaste to kill a small child. Make sure you encourage your little one to spit out their paste after brushing. 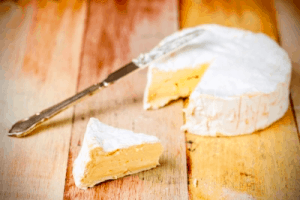 Cheese can protect your teeth ! It creates a protective layer around your teeth which neutralises the acid in plaque. Everyone knows red wine can stain teeth, but did you know some of the other worst offenders include curry sauce, balsamic dressing and ketchup! You can create a natural protective barrier to prevent staining before a main meal by eating a leafy salad or steamed veg . Brushing within half an hour of eating or drinking certain foods can actually damage enamel as the enamel is softer. Wait an hour before brushing. Your saliva is your best natural defence against staining, so sip water regularly . Dried fruit is worse for your teeth than normal fruit. The drying process releases free sugars which can contribute to a build up of plaque. 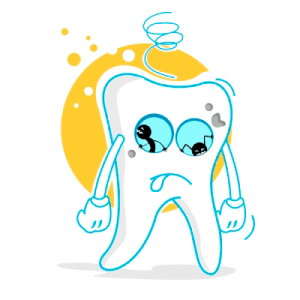 Tooth decay occurs when acids from food and drink create plaque , which dissolves enamel. Plaque starts to form 4 hours after brushing. Plaque contains over 300 species of bacteria . Using an anti-bacterial mouthrinse will help to key bad bacteria at bay. 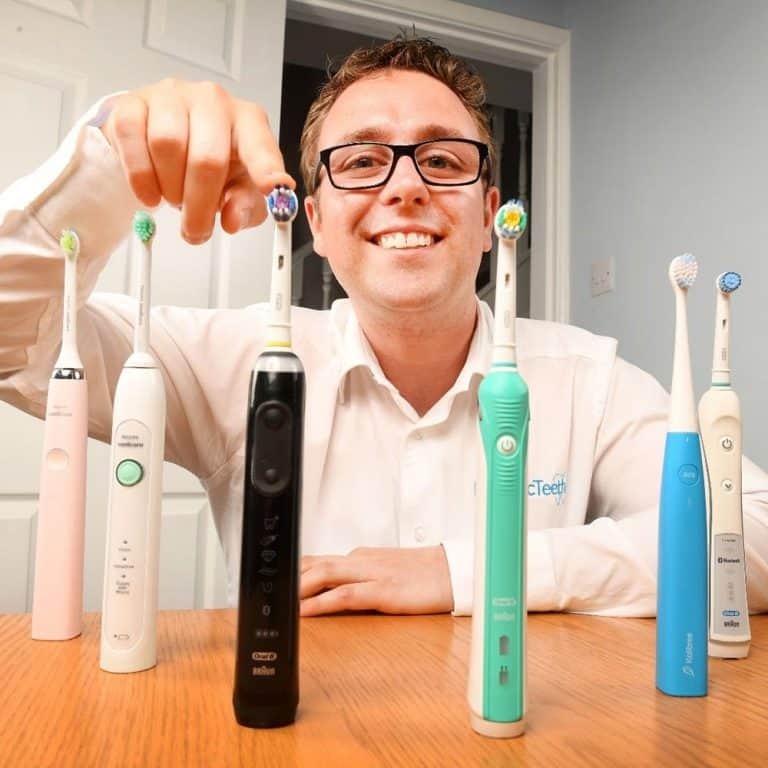 The NHS estimates 1 in 3 adults have tooth decay. The number one chronic child disease is tooth decay; it’s 5 times more common than asthma and 7 times more common than hay fever. If left untreated, tooth decay in children can lead to malnourishment, problems in speaking and learning, and even death. Sugar is a major contributor to tooth decay . As well as being wary of candy and other overtly-sweet foods, check the sugar content of everything from ketchup to yoghurt. Don’t forget your allowance is 90g a day, and that includes hidden sugar in foods like fruit and vegetables. People used to brush their teeth using twigs or their fingers before toothbrushes were invented. The first toothbrush tools date back to 3500 BC to Egyptian times. In Roman times people would use sterile urine as a mouthrinse. 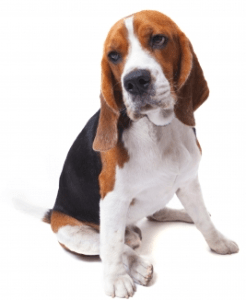 Hundreds of years ago, people used to attempt to cure tooth decay by boiling dogs teeth in wine . The Greeks and Romans used to make an abrasive paste out of broken eggshells, bones, ox hooves and ashes before toothpaste was invented. Your teeth are hard on the outside and soft on the inside . The hard, white part that you can see is called ‘enamel.’ Your enamel means that you can chew food without hurting the soft part underneath. Teeth are the hardest part of your body , even harder than bones! Although teeth and bones look the same colour and are hard, teeth aren’t bones. 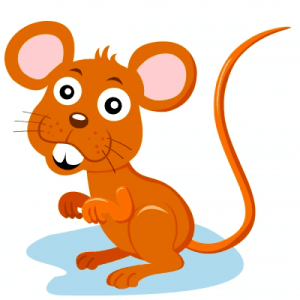 Rats’ teeth are constantly growing , causing them to feel a permanent itch. That is why they are constantly nibbling and gnawing on everything they can get their paws on! Once your baby teeth fall out, you will grow your adult teeth, which last forever. 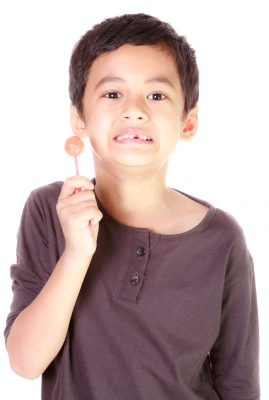 Sweets and candy make a bad acid in your mouth which hurts teeth. Make sure you brush for two minutes every time you do your teeth to keep them nice and healthy. Your mouth will make enough saliva in your lifetime to fill two swimming pools! You use four different types of teeth in your mouth to eat: incisors, canine, premolars and molars. A t-rex dinosaur had 60 teeth , but you only have about 20! Nobody else in the whole world has the same shapes of teeth as you — your smile is special. 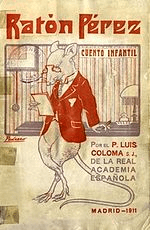 For Spanish children, Perez the Mouse visits to take their teeth that have fallen out instead of the Tooth Fairy.